Jackie Robinson. Jim Henson. Malala Yousafzai. These are just a few of the heroes of liberty that will greet you as you walk through the National Liberty Museum’s front steps. Located in the heart of Historic Philadelphia, the National Liberty Museum brings liberty to life by fostering strong character and civic engagement. Enter the brand new Welcome Gallery and touch an exact replica of the Liberty Bell. Cast your vote on who the next hero of liberty should be, and take a quiz on the gallery’s interactive iPad exhibit to find out “what kind of hero are you?” Next take an inspirational walk through freedom, interacting with heroes and artwork from around the world; look inside Nelson Mandela’s jail cell; gaze at the museum’s extensive collection of glass art; honor the heroes of 9/11. With its unique combination of personal and peer experiences, entertainment and adventure, intrigue and inspiration, the National Liberty Museum allows us all to explore liberty and discover our inner hero. National Liberty Museum provides 30,000 square-feet of event space on four expansive floors located in the heart of historic Philadelphia. 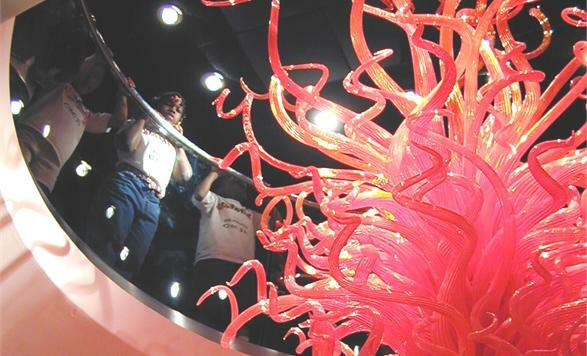 Our facility includes a world-class collection of glass art and inspiring exhibits honoring heroes of all backgrounds.